Join group to enter room. 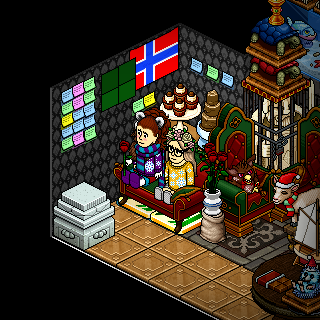 For Norwegians that play on habbo.com and for those who like norway. Scandinavians are also welcome to join! Join for alerts on new maze questions and competitions. Also this group is for people to discuss upcoming, current and old games. Velkommen, mine barn. mvh .:.:amy-jenta:. :.